How on earth can three years have passed since I presented my lamb ragù as the first post of Cocoa and Lavender? Doreen and I premièred the blog on Valentine's Day 2010, having no idea what we were getting into. Now, I can honestly say that my week would not be complete if I didn't share a recipe and a few thoughts with you. Doreen's life got (happily) busier as time passed, and she reluctantly left Cocoa and Lavender as a writer; I trust she is still here with me as a reader! (You can always leave a comment, Doreen!) Her work as a talented designer is amazing - you can see it on the website for Malloy Interiors. Last week, I decided to make my lamb ragù for my longtime friend Julie and her husband, Dom, who were visiting from Pennsylvania. I make the ragù without a recipe these days; it is second nature to throw this together in no time at all. Then I remembered that it was my first post here, and I went back to look and see what had changed. Wow! The original recipe was so different and much more involved. The list of ingredients has been cut in half and the results are still great! I turns out that I actually simplified the recipe. Isn't that how it should be? Life should get less complicated as we get older. What I find really interesting is that I actually like the newer, simpler version much more! The flavors are a perfect marriage of the rosemary, lavender, mushrooms, lamb, tomatoes and olives. Simple. Rich. Rustic. It is, to me, everything a ragù should be. 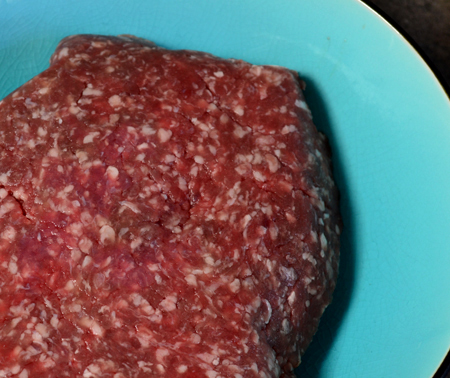 Oh, and if you don't like lamb, this can be made with ground beef, veal, or pork with equally good results. The lamb I used was grass-fed and very lean from our friends Paul and Sarah Schwennesen from Double Check Ranch. It really should be made with lean meat or, if not, defatted after it has been sautéed. 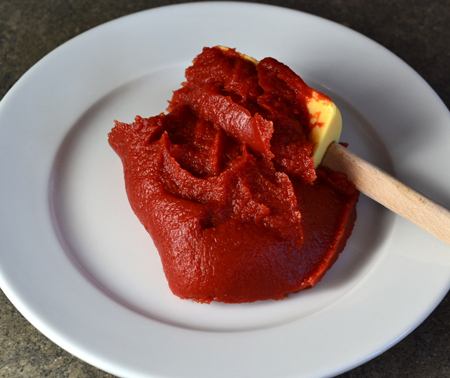 As for the polenta, I recently asked an Italian cook what she uses. Her first comment was not to buy instant polenta and, second, not to buy any that is too fine. I agree with her on the instant polenta, but must say I am absolutely in love with my Moretti Polenta Bramata Bianca first given to us by our friends Susan and Towny from The Modern Trobadors. I love this fine, white polenta - it is just a bit less sweet than its yellow counterpart. I make my soft polenta with a ratio of 4 cups liquid (water or broth) to 1 cup ground polenta. I also add a little milk or cream, and a decent amount of Parmigiano Reggiano. 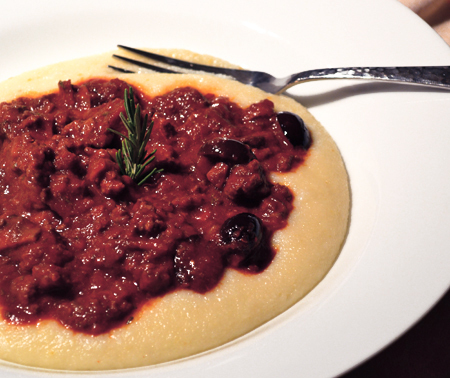 Polenta perfection! Apologies for these last two photos... nighttime food photography is not my forte! So, happy 3rd birthday to Cocoa and Lavender… a little belatedly! I am having a great time in the kitchen, and I hope you are, too! 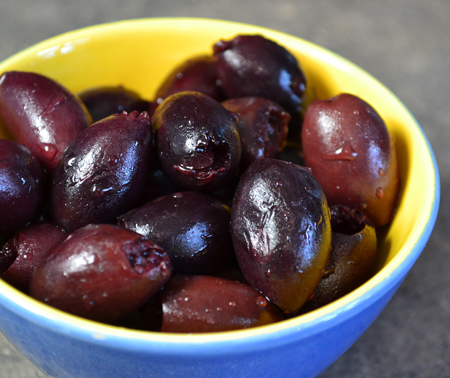 * I sometimes use oil-cured Moroccan olives when I have them - they give an earthiness kalamatas don't. With either kind, even if they say pitted, I cut them in half to make sure no pits were missed! 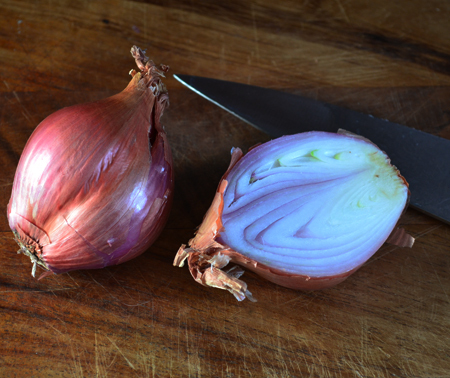 Heat the olive oil in a large skillet and add the shallots. 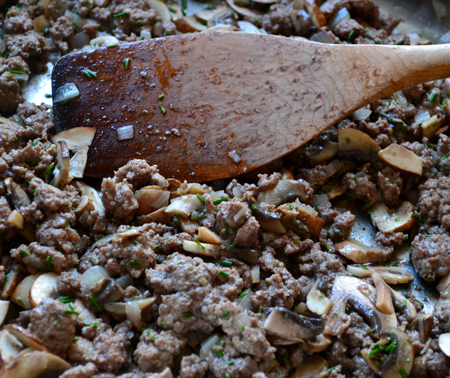 Sauté for a minute or two, then add the lamb, breaking up clumps with the back of a wooden spoon. Cook the lamb for about 5 minutes, until it is browned and only little bits of pink are visible. 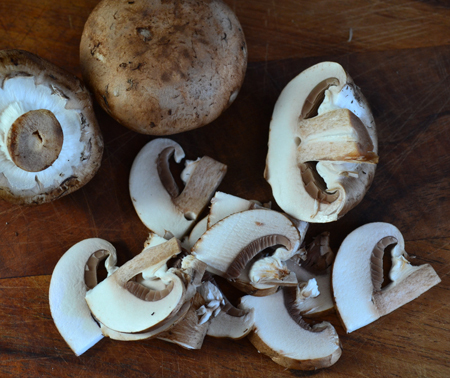 Add the mushrooms, rosemary, and lavender, and continue to cook for another 5 minutes. 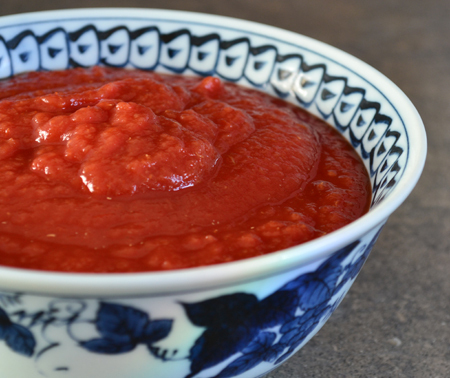 Add the tomato paste and mix it in well, to form a paste. Then add crushed tomatoes, wine, broth, and olives, and bring to a boil. 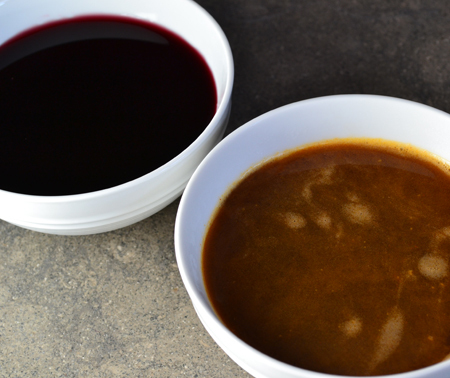 Reduce heat and simmer, partially covered, for 30 minutes, or until thickened. Serve over creamy polenta or pasta. Serves 4. Recipe can be doubled. Happy Anniversary, C&L! And many thanks to the now-absent Doreen and the still-very-present David for bringing these weekly treats to my inbox--and to my table! My week would not be complete without C&L!! Thanks, Michael and Jill - I love knowing that you are out there reading each week! Paula - what kind of polenta do you use? Do you prefer the coarse, medium or fine grind? I love the idea of half milk, half water - I will try that next time. I bet it makes it extra creamy! I am sure the reason I omitted the trinity when I first did so was because I didn't have carrots and celery on hand... and I really didn't miss them at all. Let me know what you think! Firstly, HAPPY ANNIVERSARY COCOA AND LAVENDER! 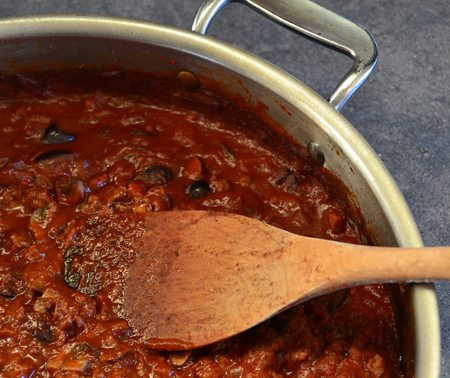 And more importantly, what a wonderful ragu - definitely going to add this one to my saved recipes file. YUM! When Cocoa & Lavender rolls 'round on my email list, I know it is Sunday morning and I am always curious to see what you have posted. Even though I may have a slight head's up about the topic, it is always fun to see what angle you have taken and, of course, read the exact recipe and see your wonderful photographs! The lavender is inspired in this version! As always, I will look forward to your lamb ragu on our table soon! BTW, we made last week's brocoli soup and it was terrific! Thanks for your hard work every week! Thanks, Karin! These three years have flown by! Thanks, Susan, and also for your P.S. (P.S. 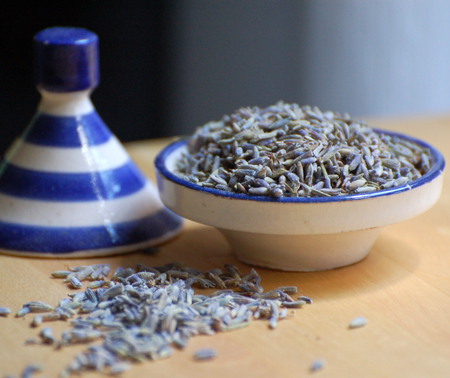 I took a peak at your original recipe and see you did have lavender in that one, too! I encourage everyone to look back at that recipe to read more about David's inclusion of this interesting herb!) The lavender does add a nice floral overtone to the ragù - and the first C&L post had to have lavender in it, didn't it? So ooh la la Francaise! I know, Colette - lavender is so underutilized! I have been crazy all weekend - I can't wait to see what you have been cooking up this week! 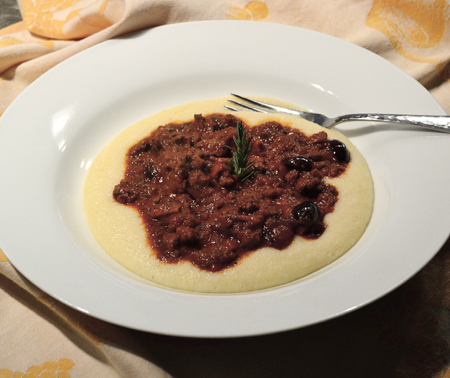 I use a medium polenta, mainly because it´s a very much used ingredient here, and though now you can find different textures, back then there was only one. Polenta. And 50/50 makes a very creamy but not heavy polenta. I don´t have celery around much, but think it add that very elusive basic flavor. Just like it does in vegetable soup, which in my opinion tastes like nothing unless you add celery. BUT, I will try the sauce without them, because it would be so great to be able to have the flavor without the chopping! Let me know what you think, Paula... I do like the sweetness that celery and carrots add to a ragù - especially a Bolognese - but as this one is made up, I can freely leave them out and not miss them. I really cannot wait to try the polenta that way. Do you ever add cheese? Ahu - really?? You don't like lamb? What is your lineage again?? :) There are a few lamb preparations I don't love - and truly it has to be lamb and not mutton... Mutton is way too strong, but fresh spring lamb? That is the best! Thanks fro reading, Ahu, and for your birthday greetings! Love this ragu! Look delicious! Thanks, Gloria! I look forward to visiting Canela Kitchen! Ah, I missed your bloggaversary post! Congratulations on 3 years of wonderful photos, stories and recipes. 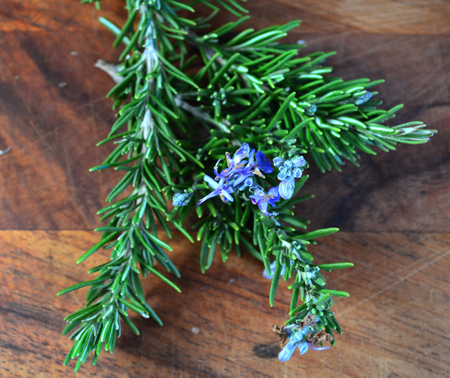 I just love the interesting ingredients you use and this particular recipe has grabbed me - because of the lamb and mostly because of your use of lavender! I am definitely trying this out. Thanks, Anna - that is so sweet! I look forward to many more years of doing this. So much fun! !